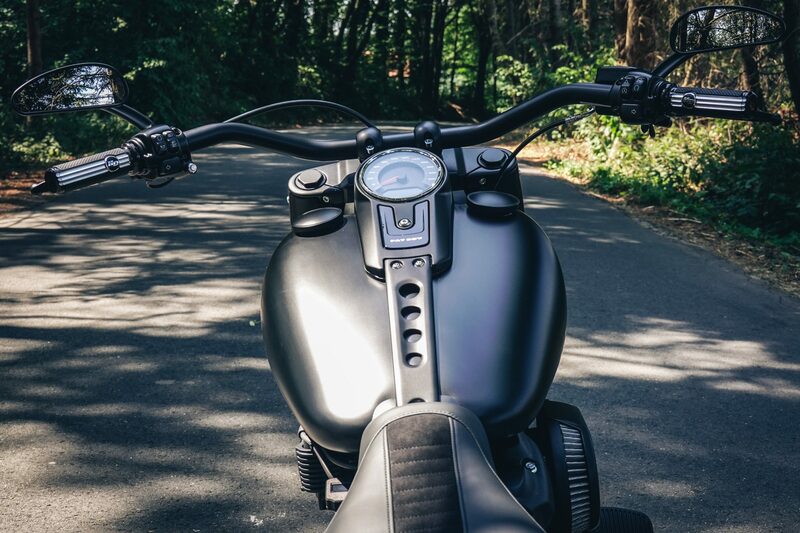 Go wild with Deadly Fight! 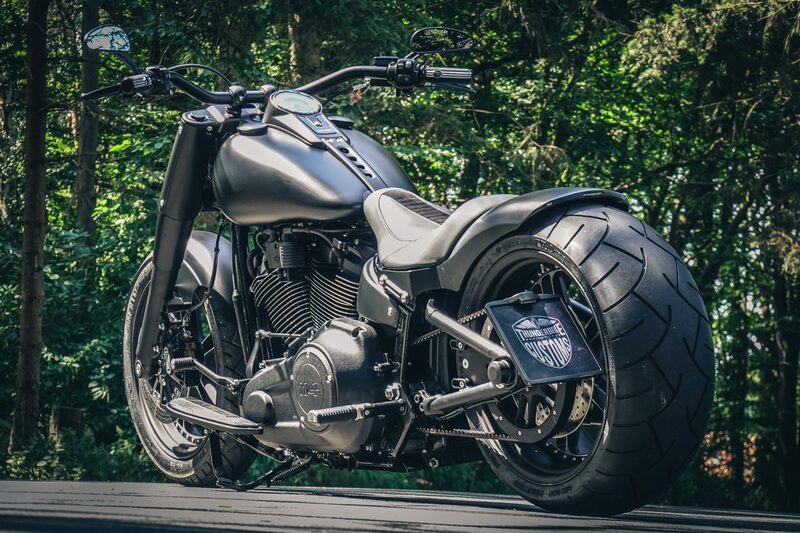 Now it is no longer “Men in Black” but Bike in Black! 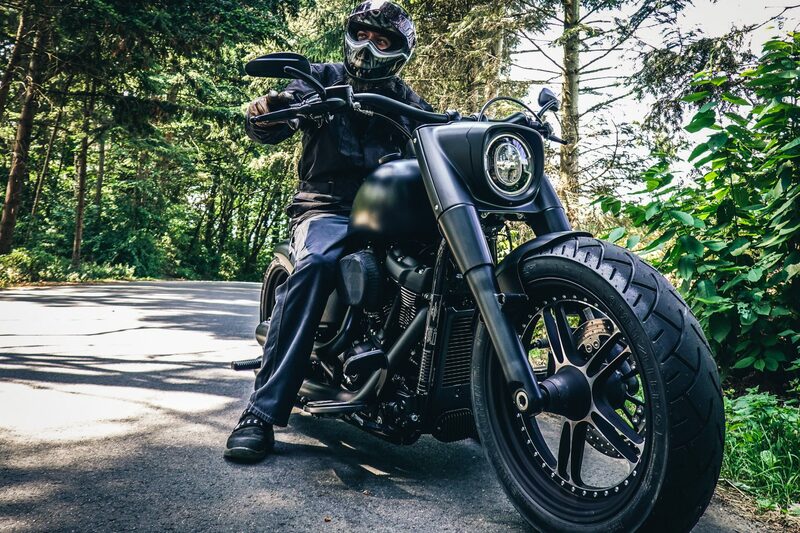 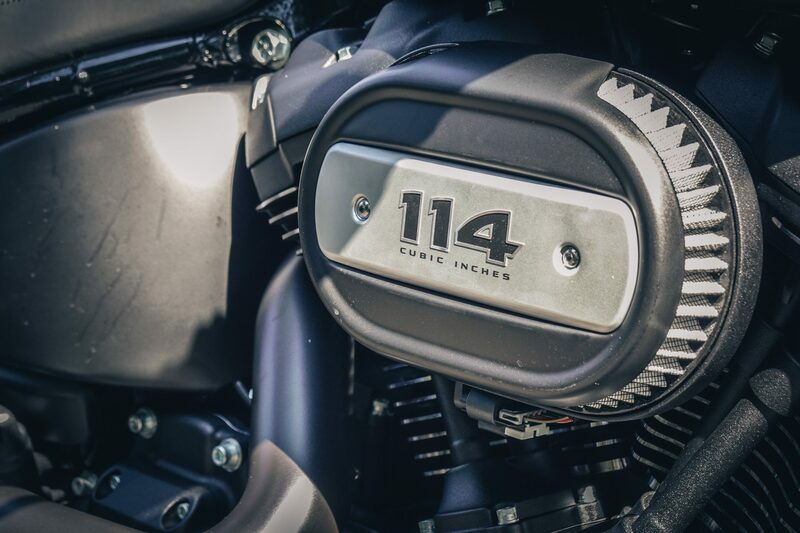 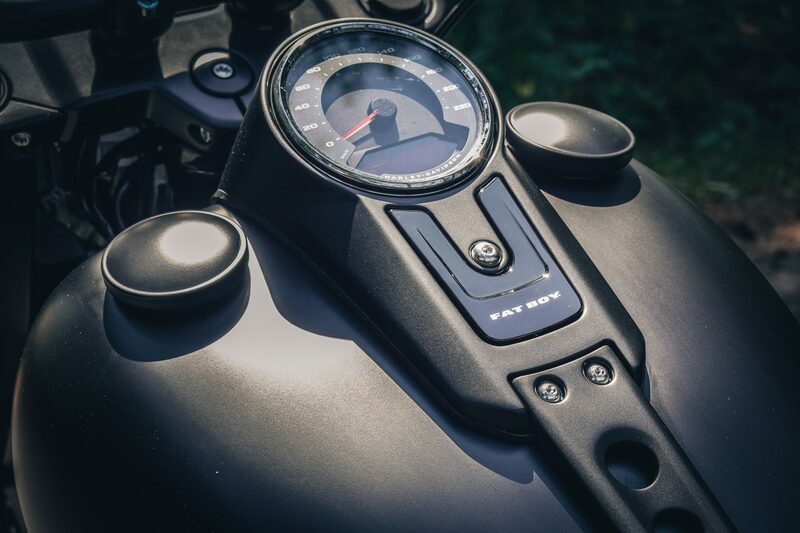 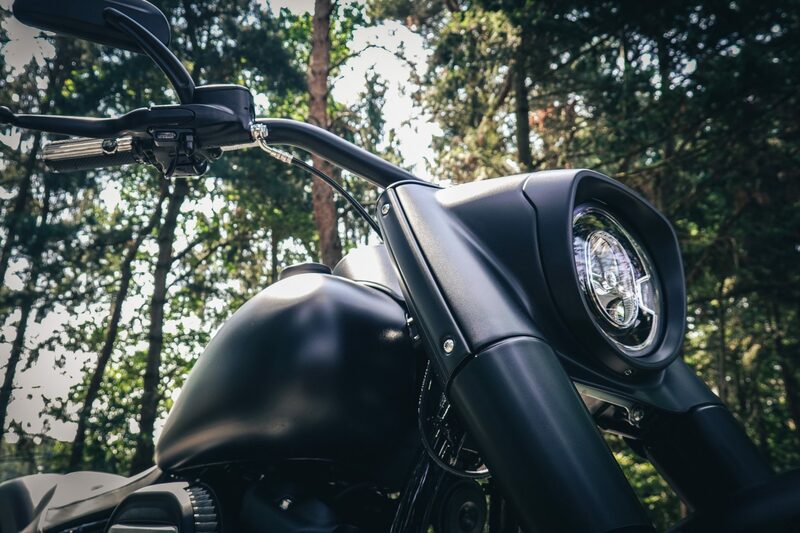 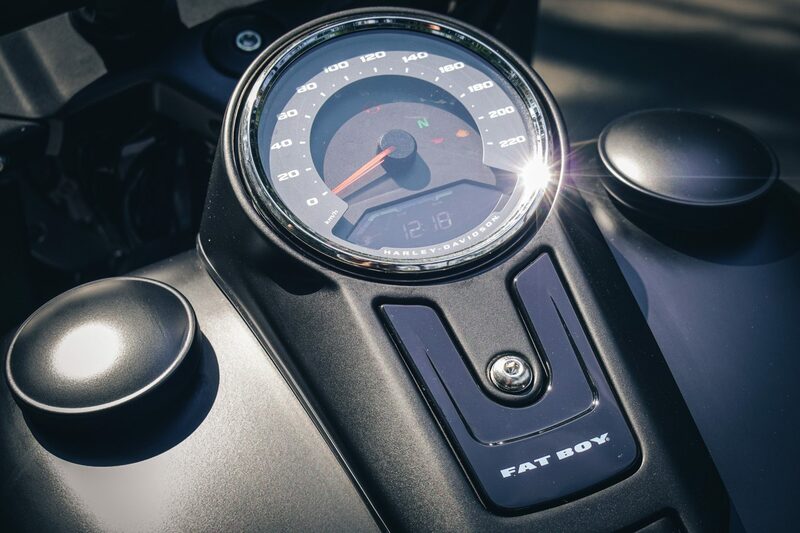 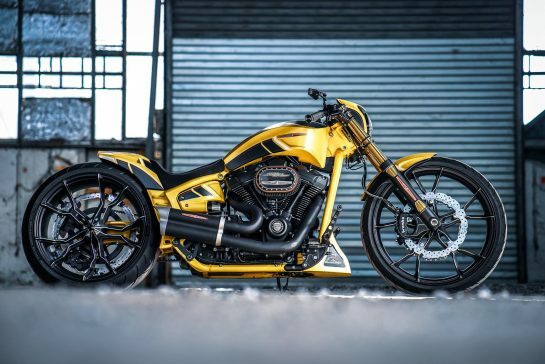 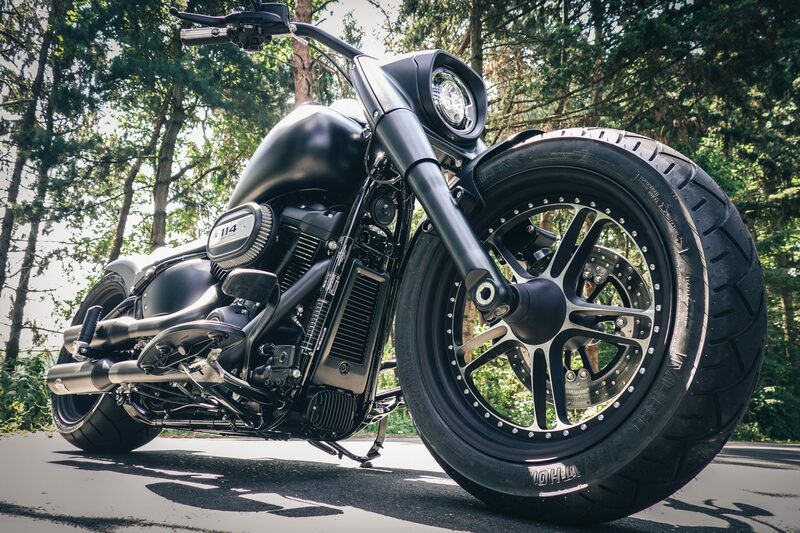 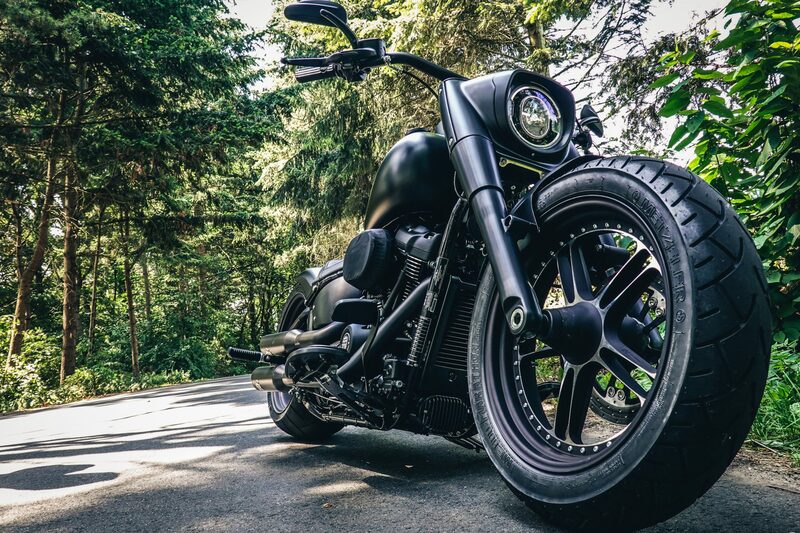 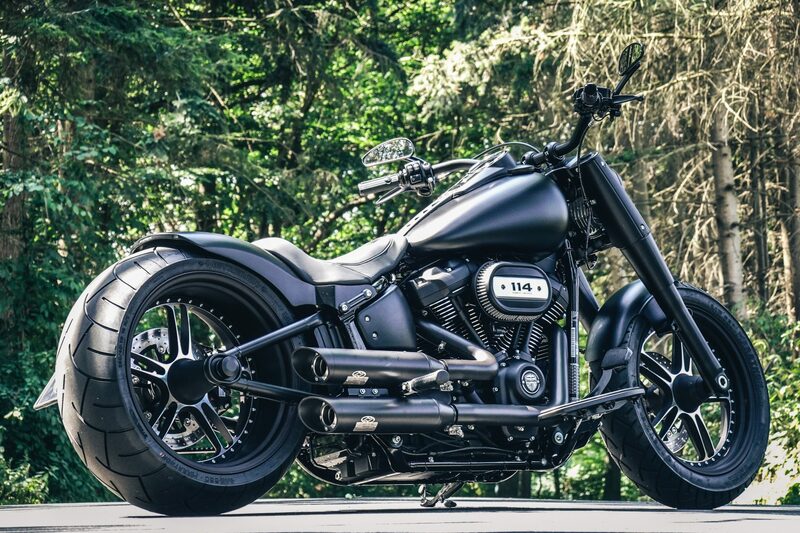 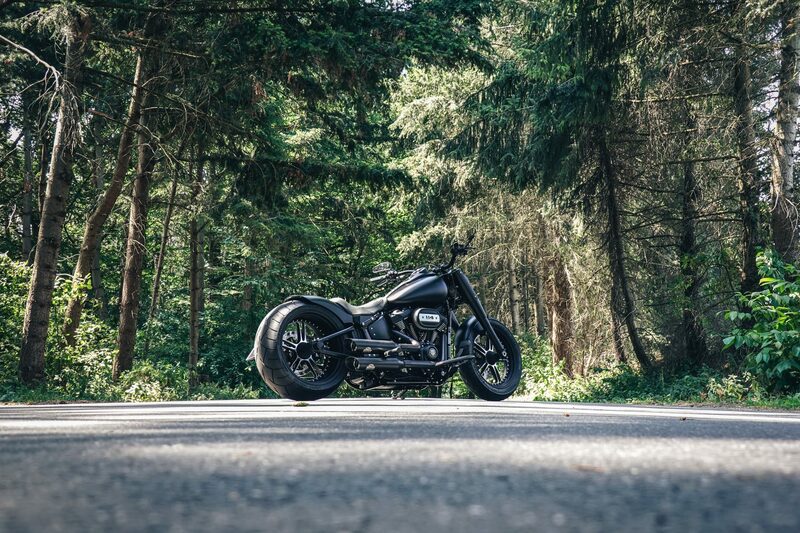 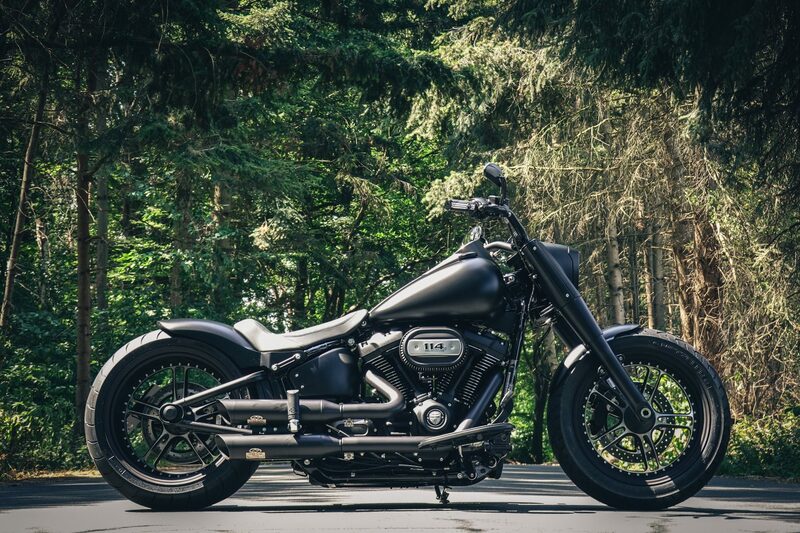 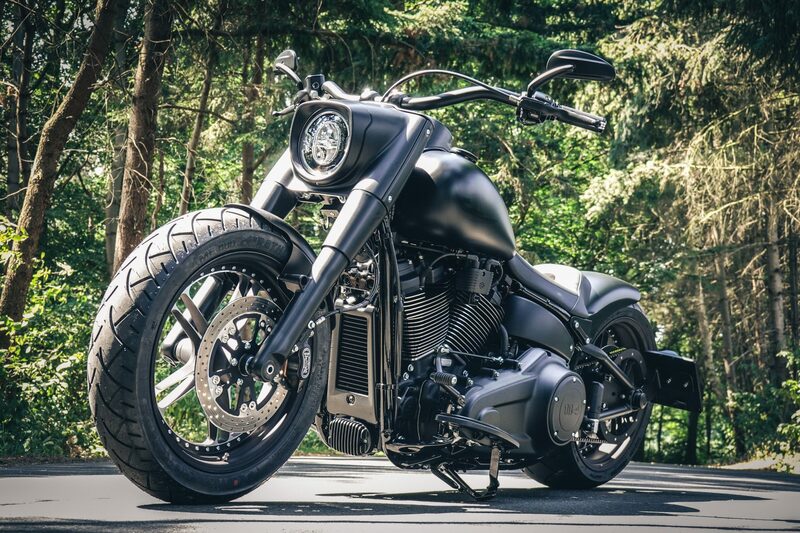 The 2018 Fat Boy is again a very successful custom bike. 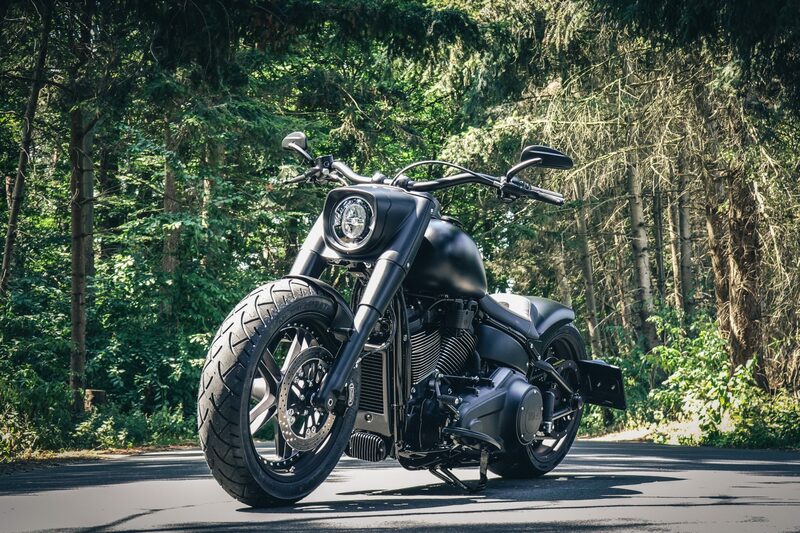 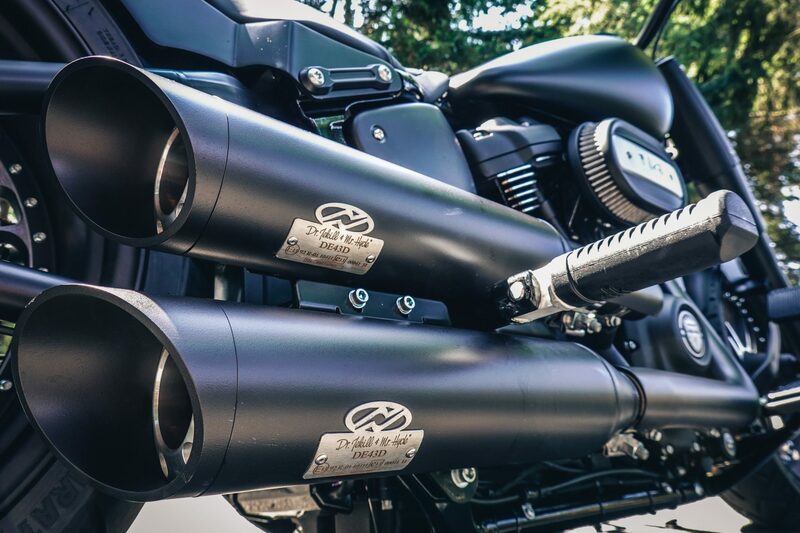 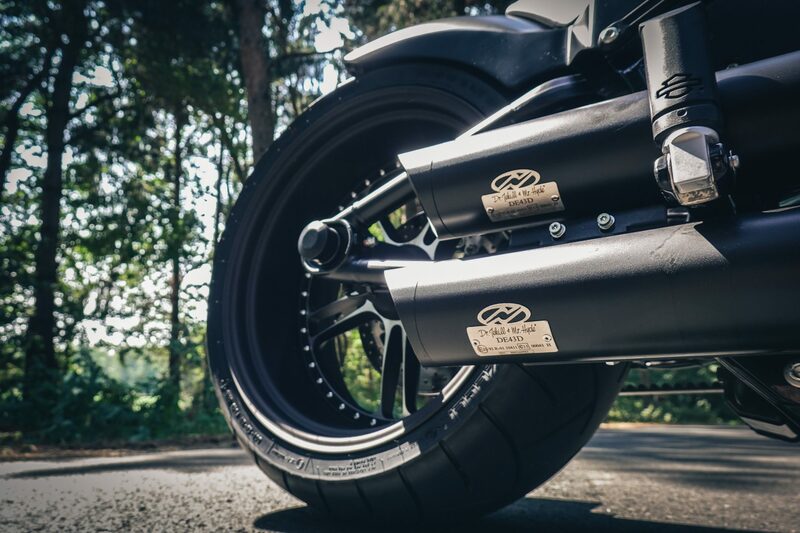 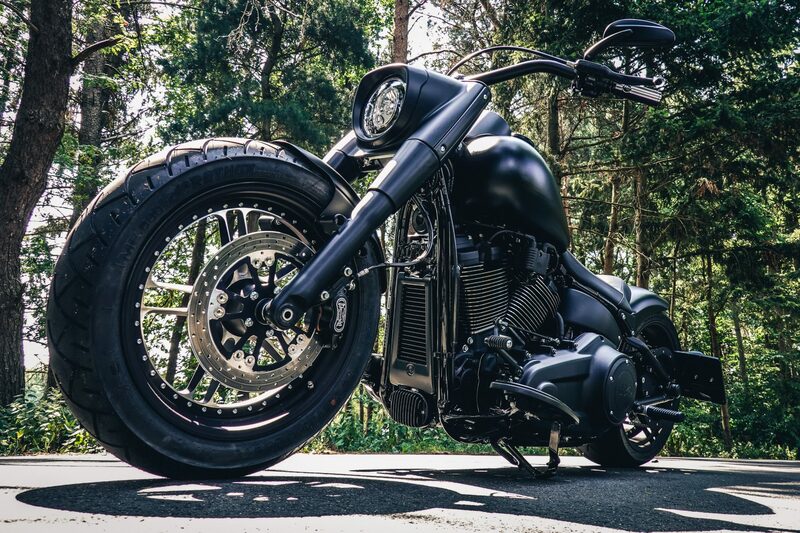 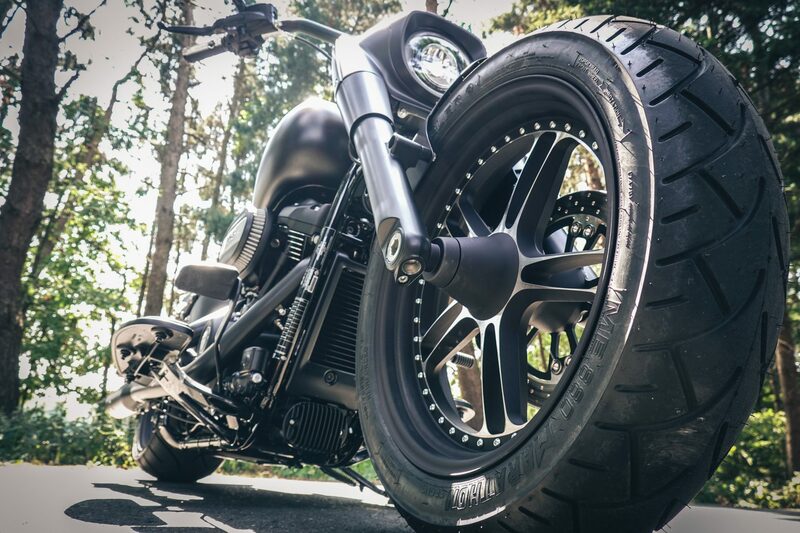 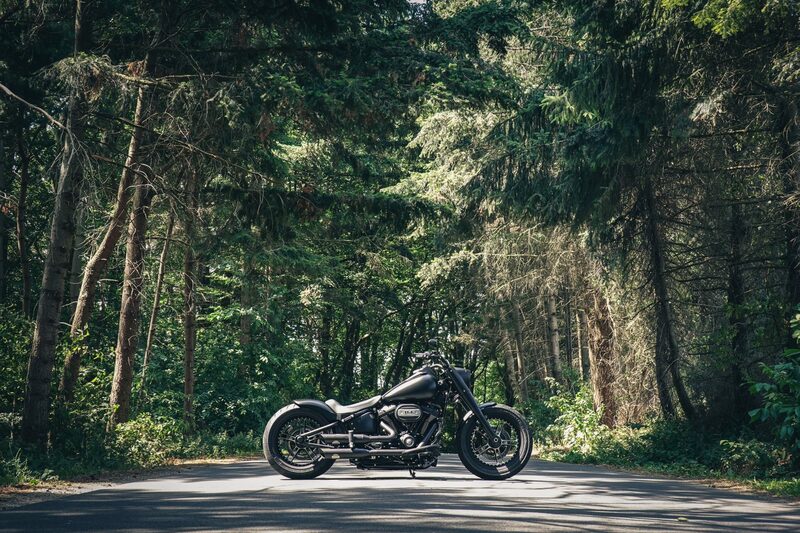 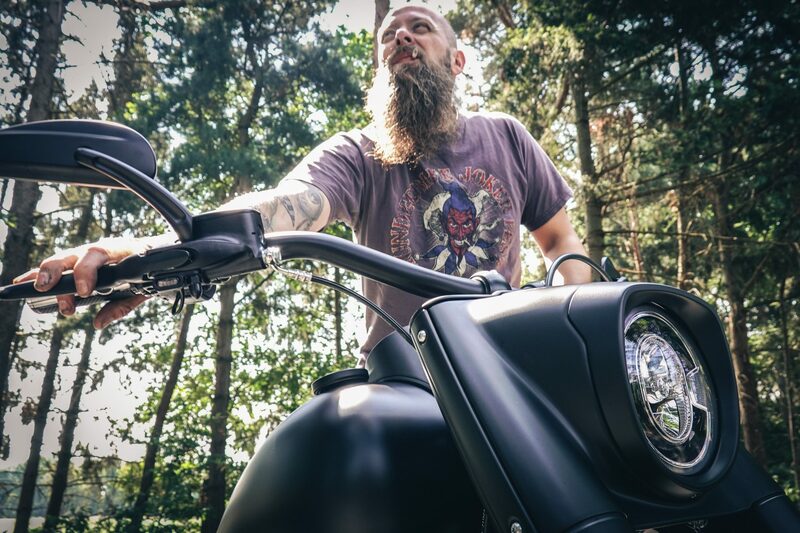 The motto of this bike is very clear: black and cool! 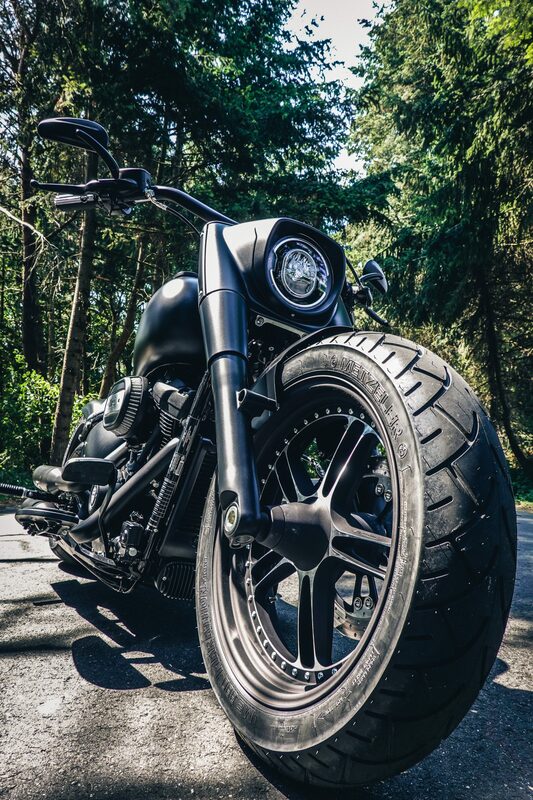 And for that, almost every part had to be tackled. 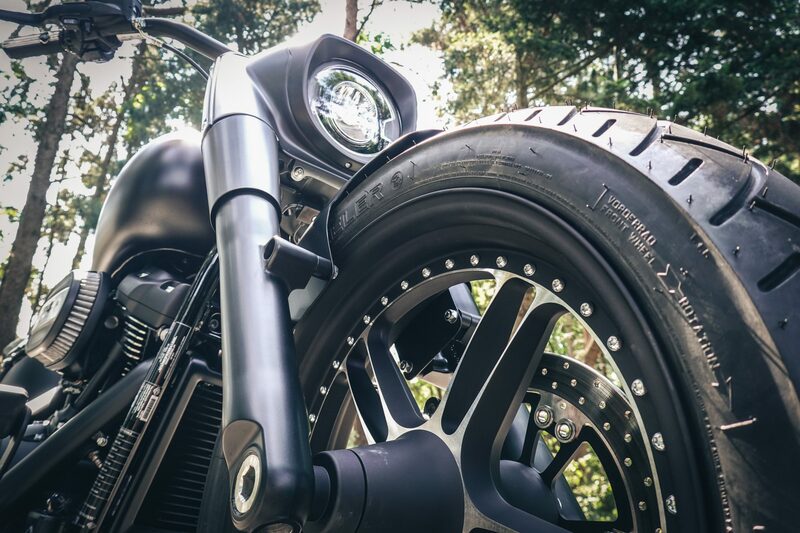 Parts such as fork, tank and rocker boxes could be taken down and taken to the painter. 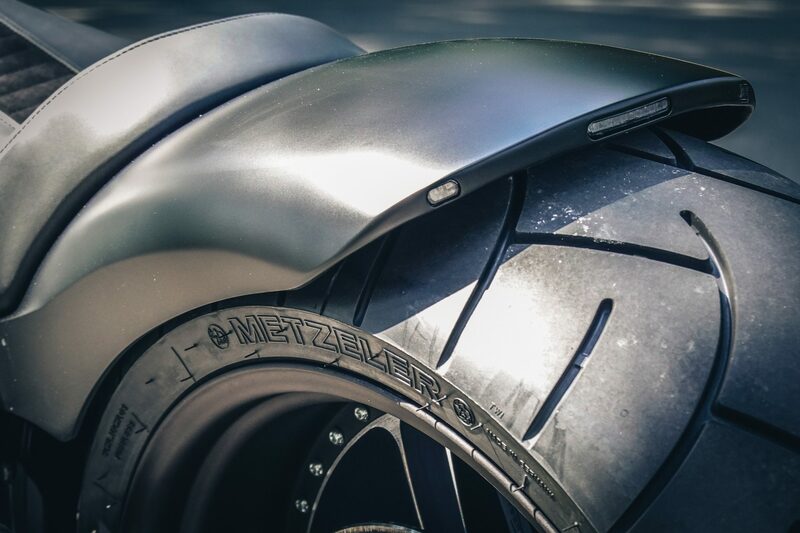 We were allowed to say goodbye to the rims and the front and rear fenders. 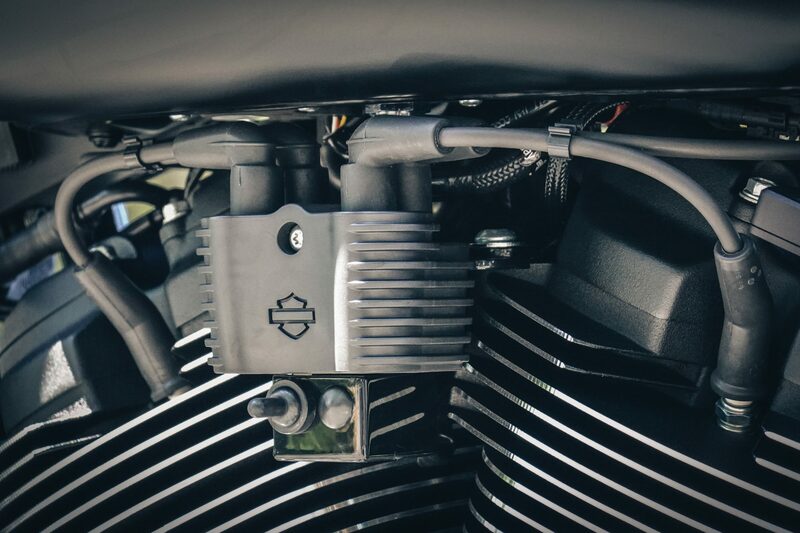 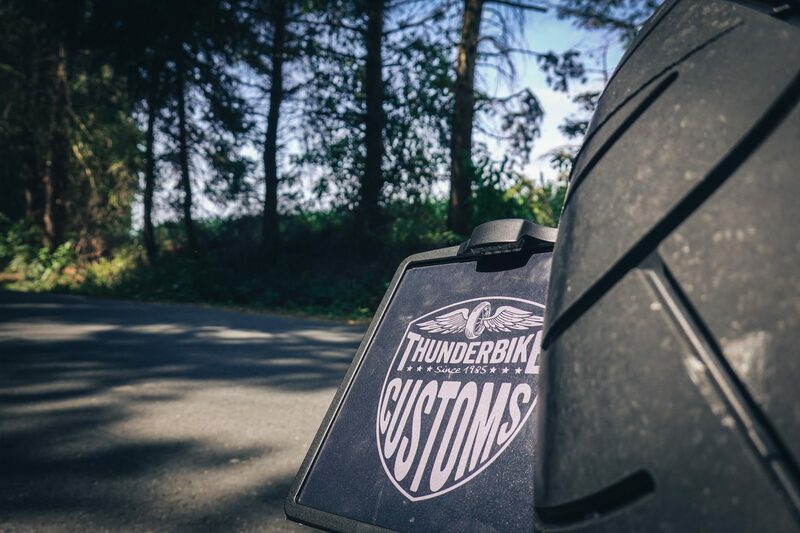 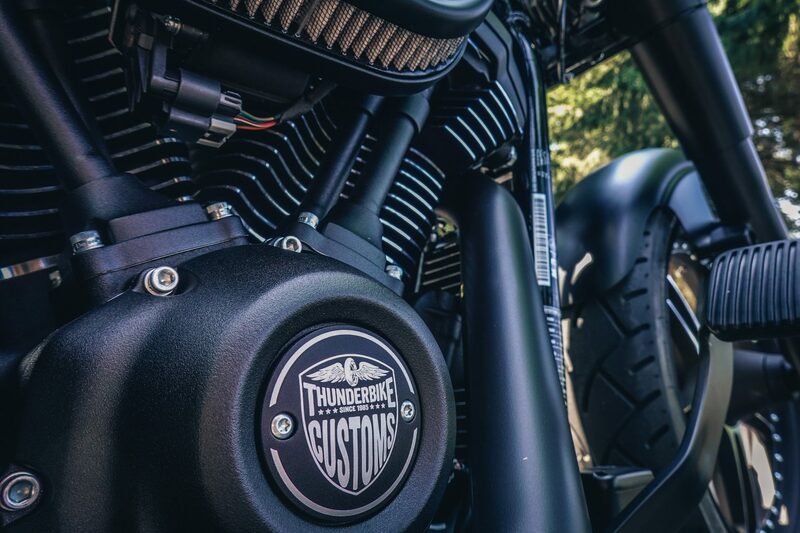 Then it was finally: Go and build with the Thunderbike range. 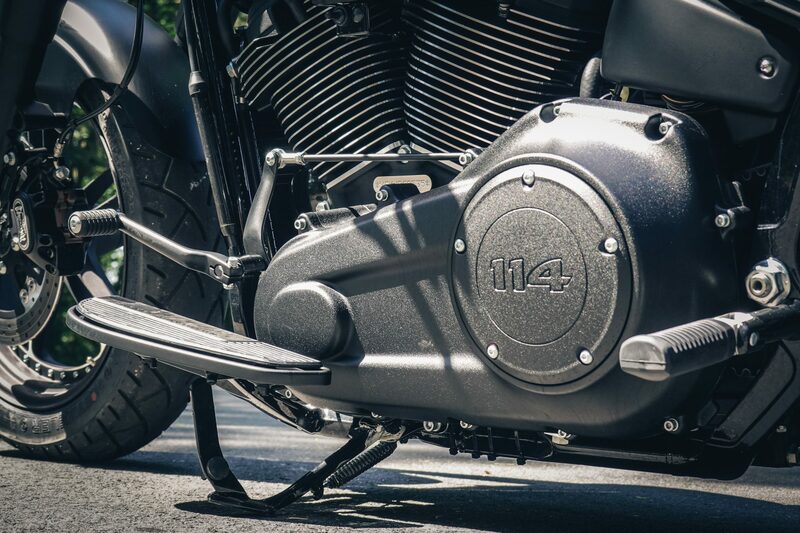 Starting with our super cool “Vegas Cut” rims – front 4,5×18 and back 9×18. 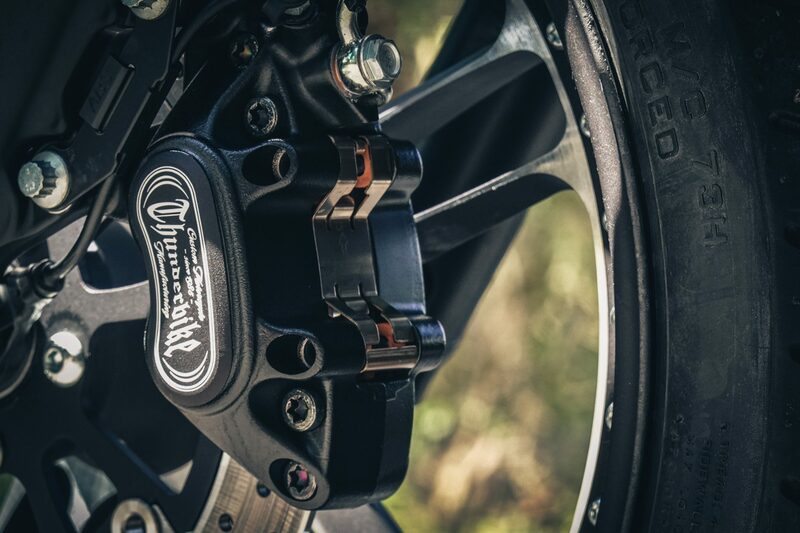 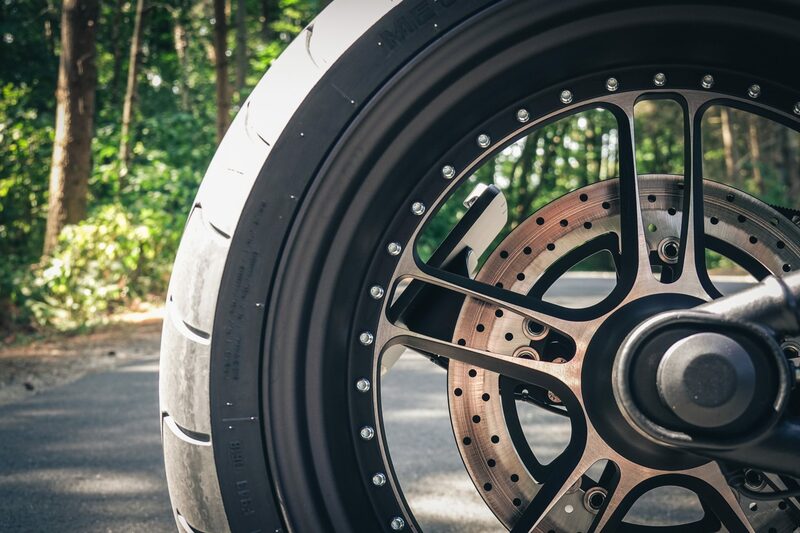 To bring the two wheels right in scene, we have of course advised to single-flute variant with Pulley braking system! 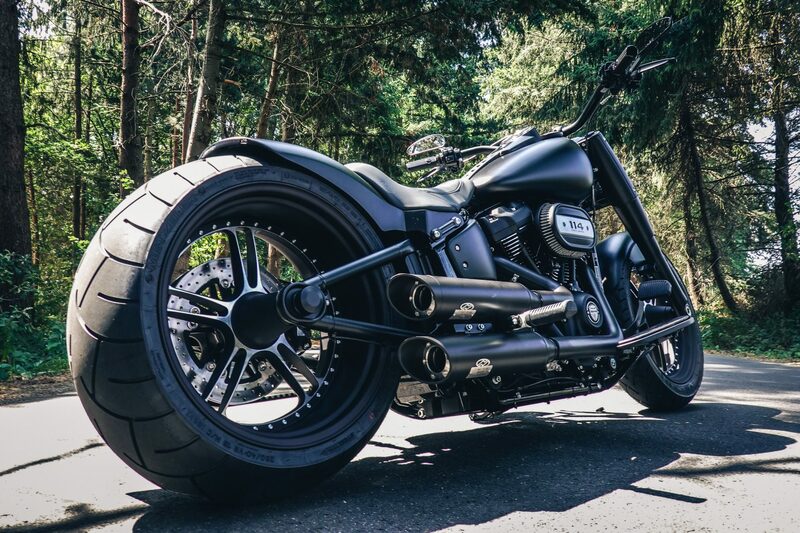 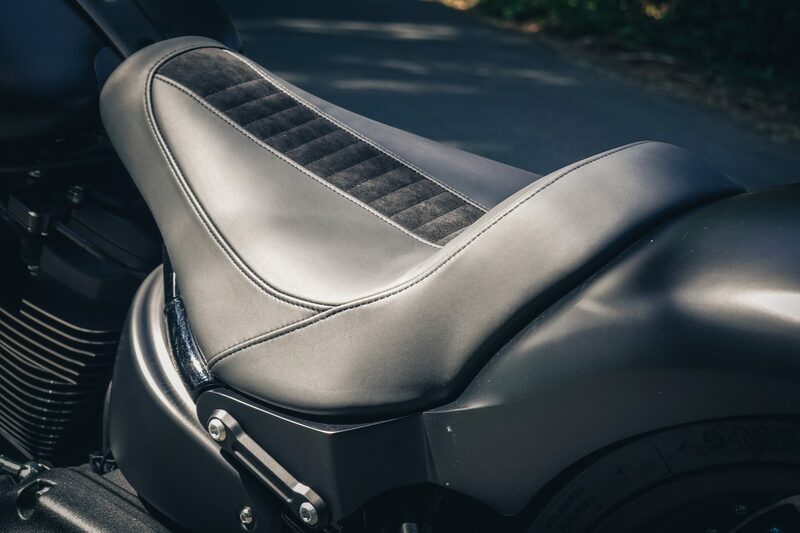 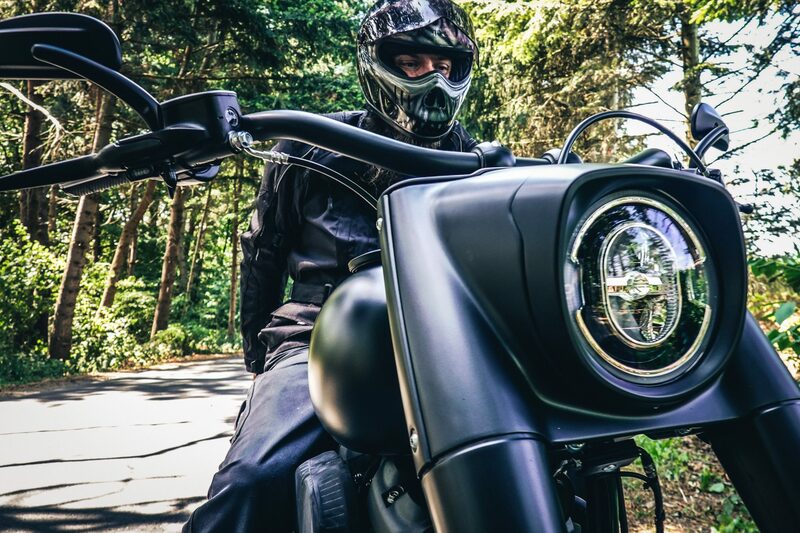 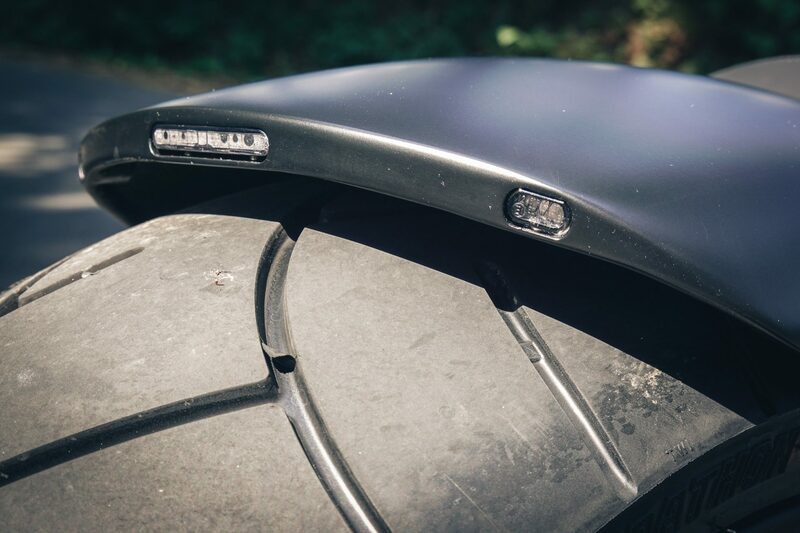 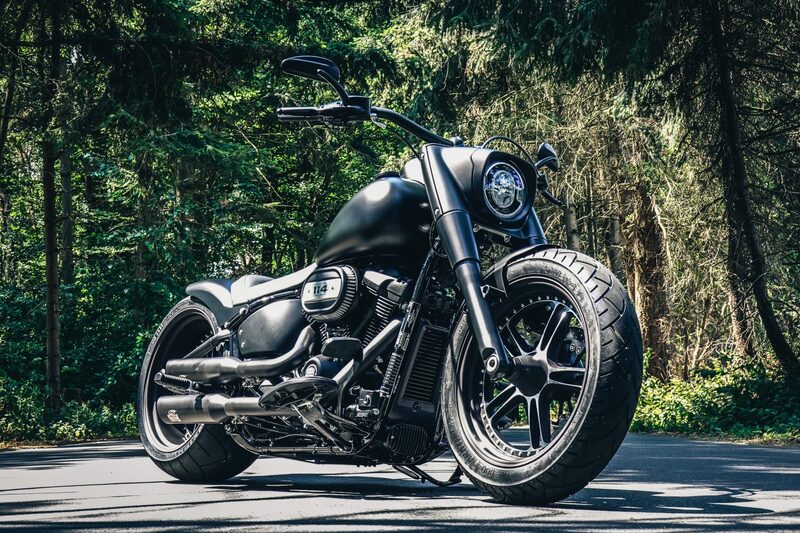 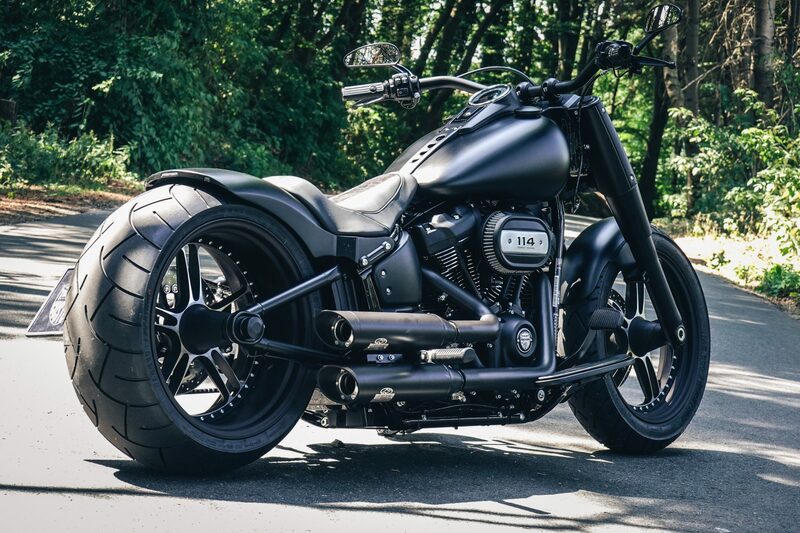 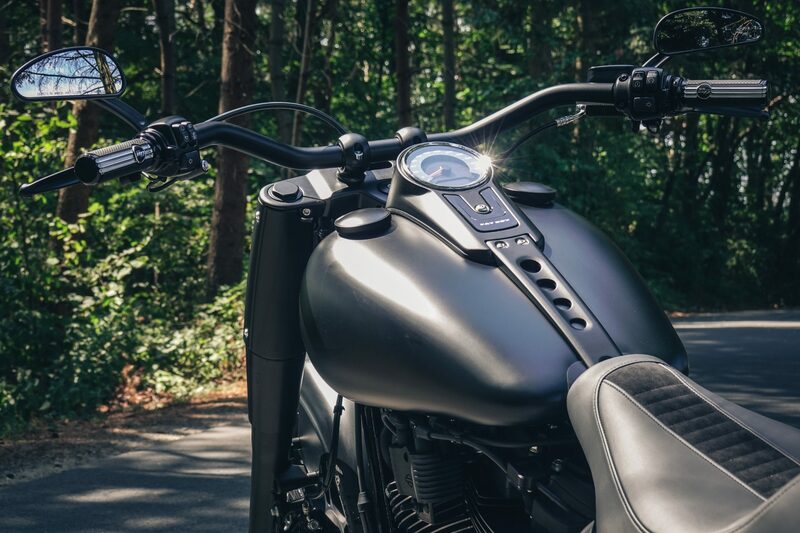 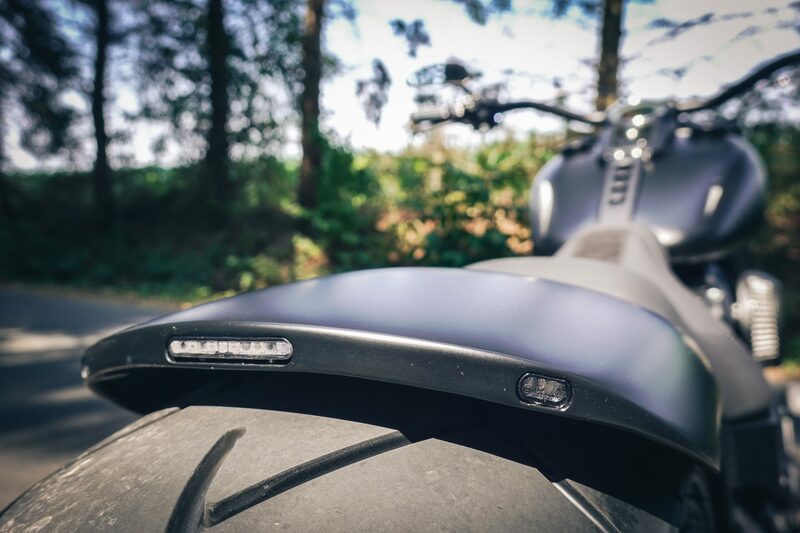 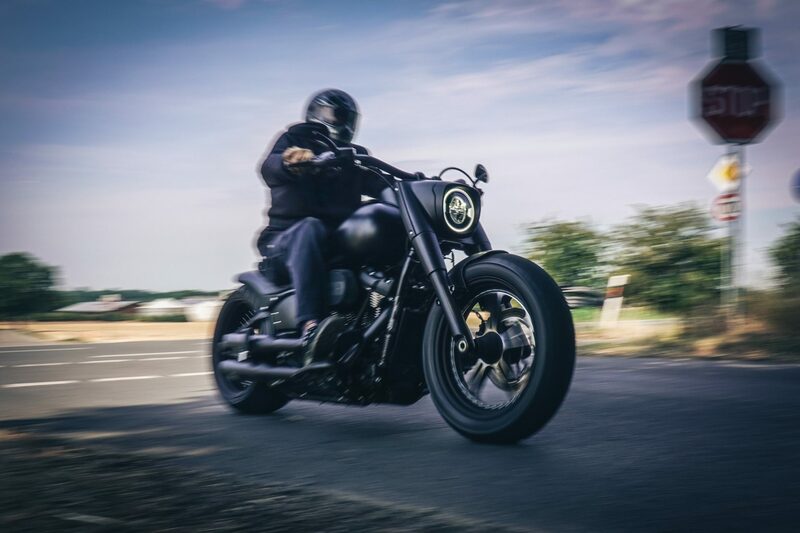 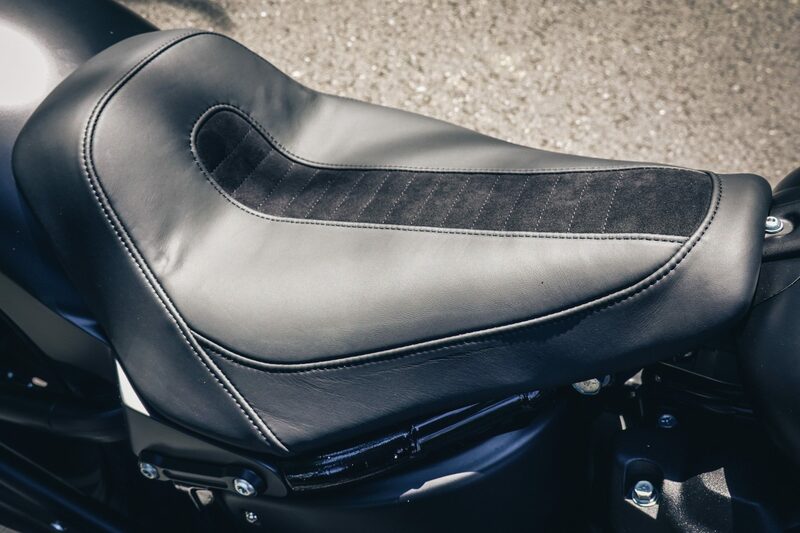 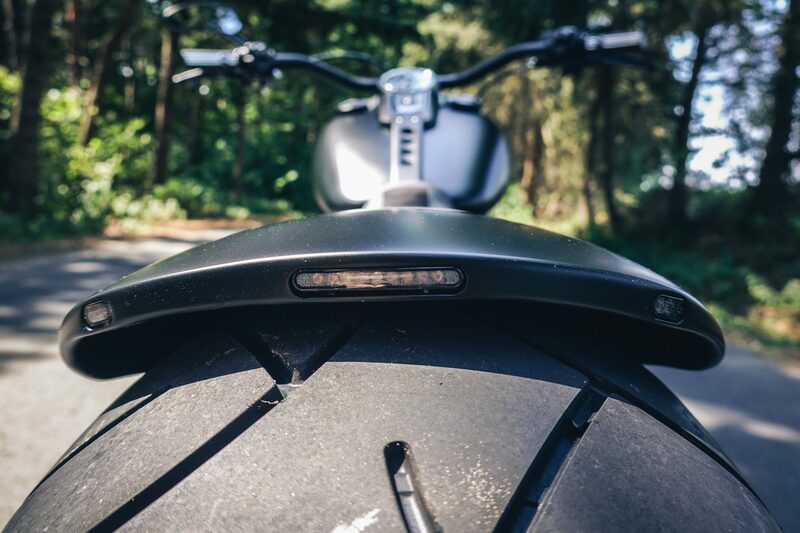 With such a conversion is of course with our rear fender “Steel” with integrated taillights not to think away – matching the Fat Boy front fender. 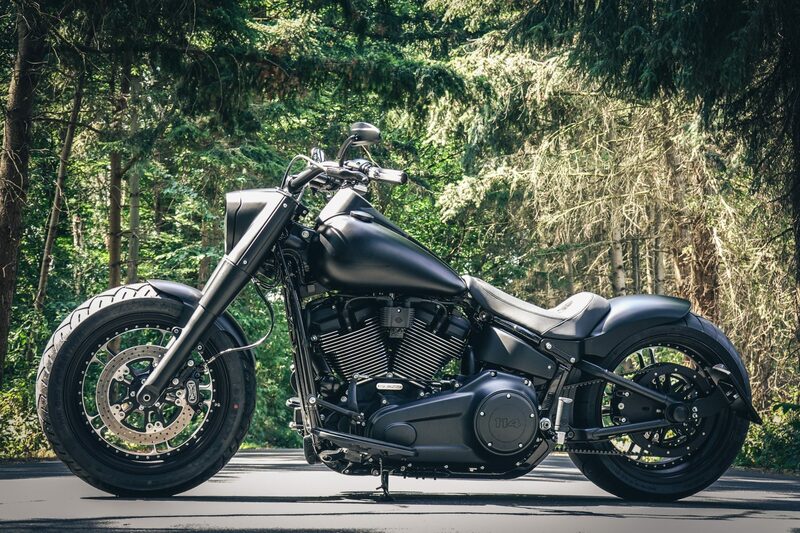 Also Jekill & Hyde is back on the bike, because the exhaust bangs – not only visually. 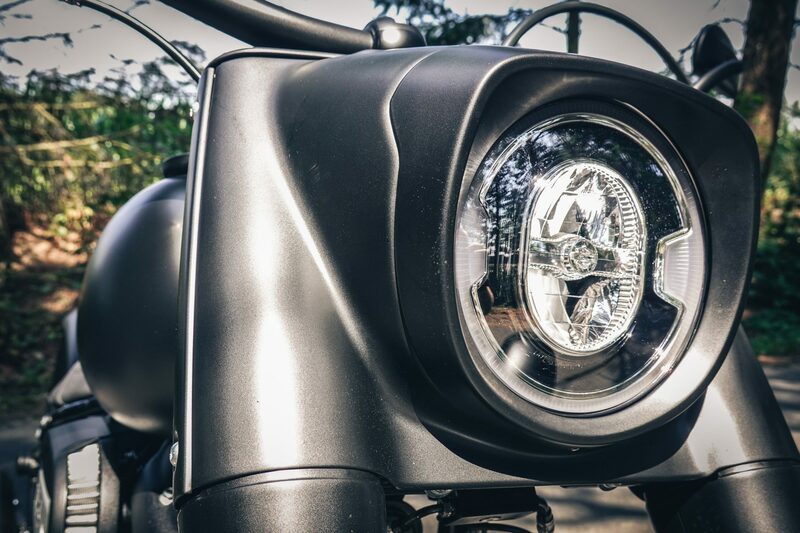 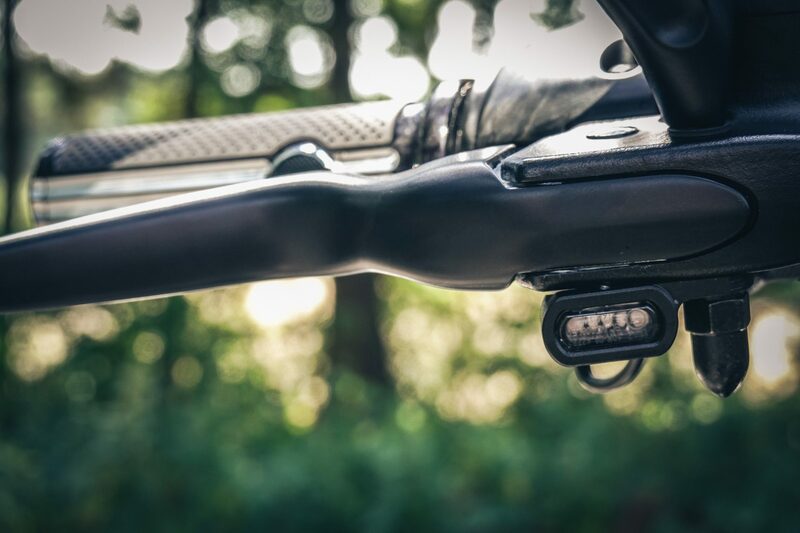 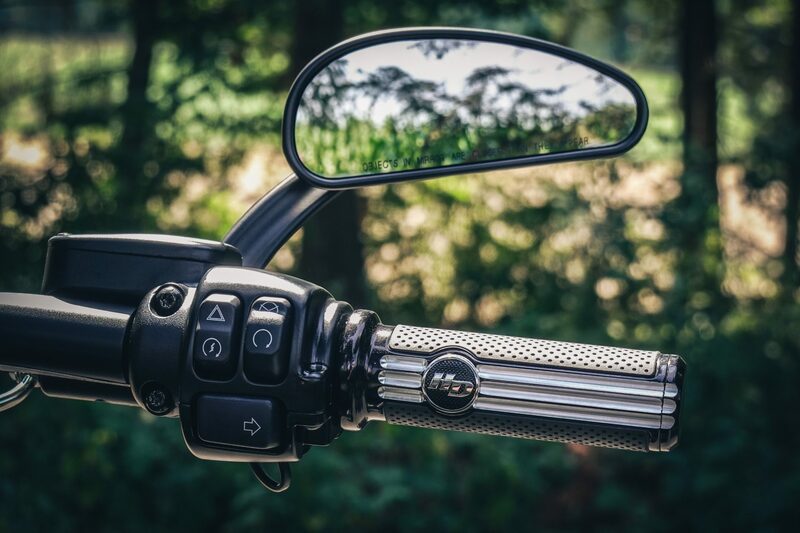 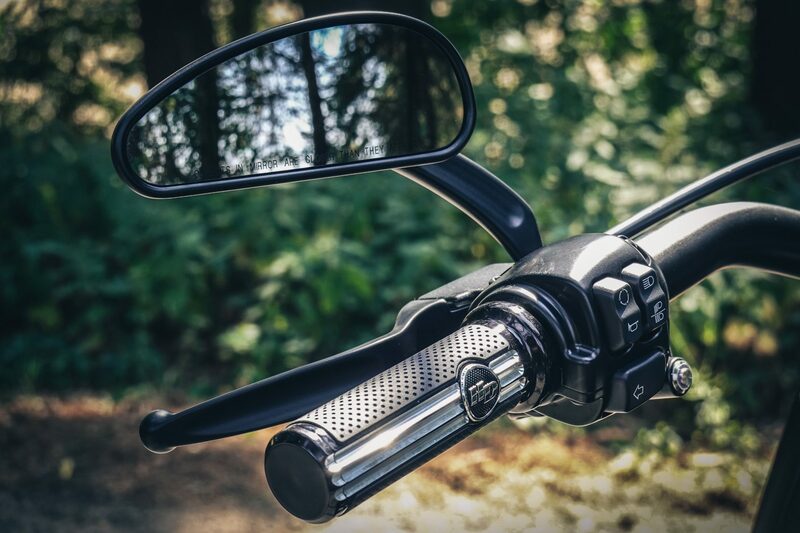 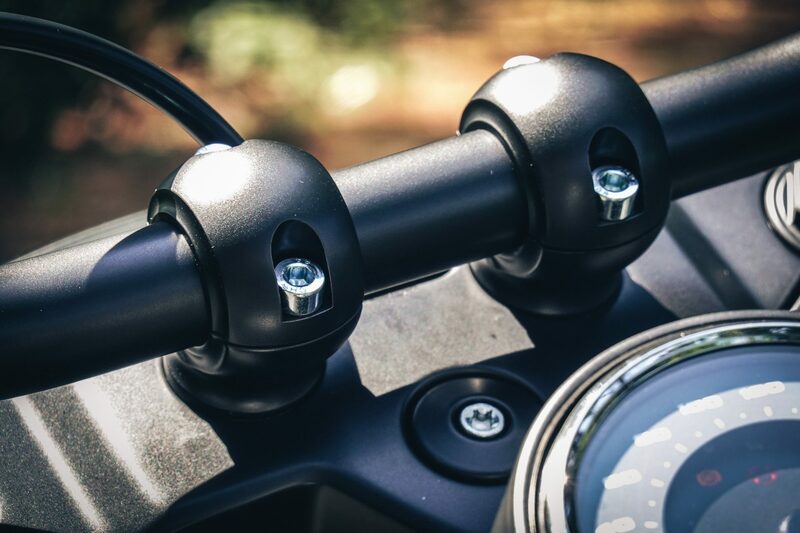 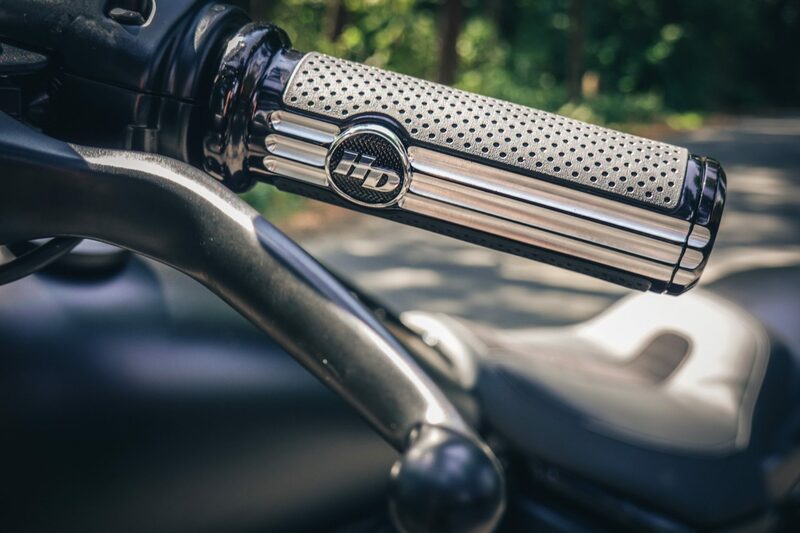 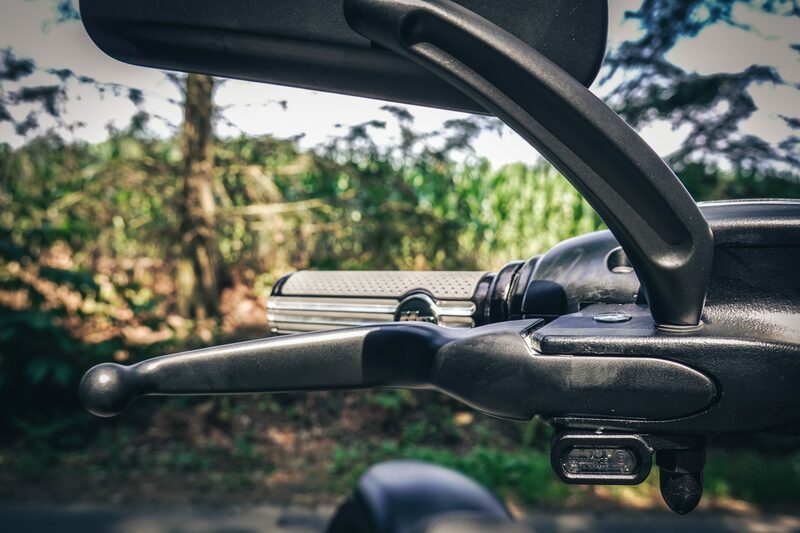 With a few extra details such as handles, mirrors, side mount license plate bracket and our “Hollywood Light” handlebar, the conversion was completed and the customer was made happy.